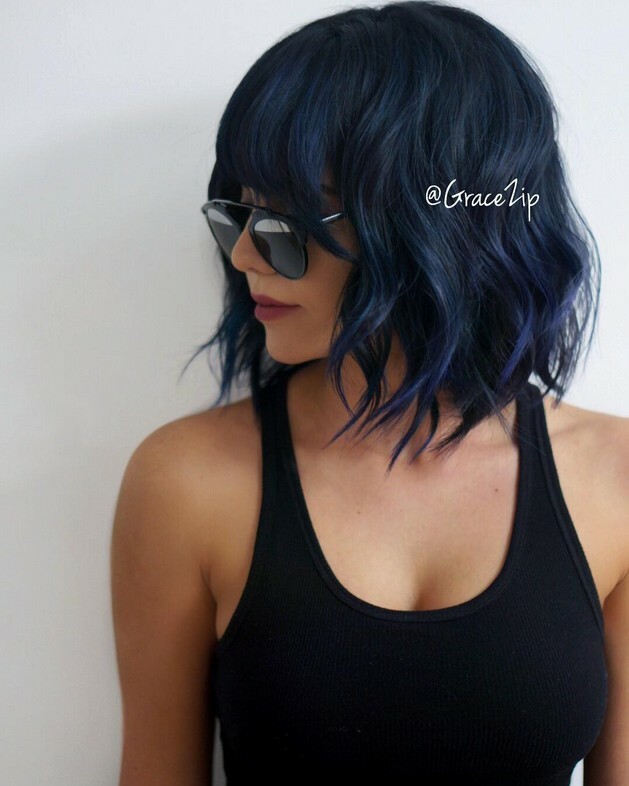 Looking for inspiring medium bob hairstyles? Mob haircuts a.k.a. medium length bobs are probably one of the most versatile and trendy cuts you can get right now. New cutting techniques are concentrating on different textures on the tips and there’s a huge shift to exciting, new highlighting colours, too! 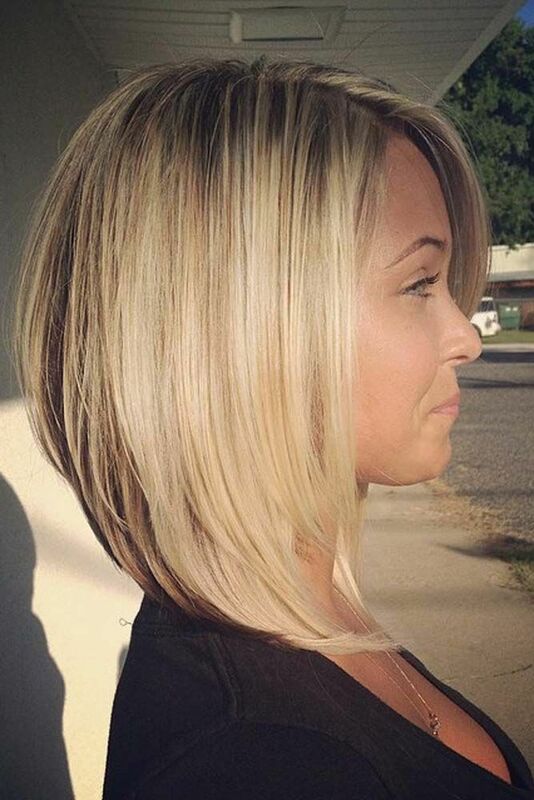 This medium bob hairstyle represents the cutting edge of hairstyle trends for 2018. 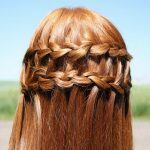 The bangs are cut deep between the crown and front hairline, with longer length at the sides of the forehead. 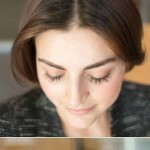 This is good for round, heart and square faces as it creates an oval frame for the upper face. The waves can be styled onto the face to cover up a strong jawline and add width around a narrow chin. The defined, twisty waves have fabulous green and purple tones and heavily textured tips add a contrasting spikiness at the ends! 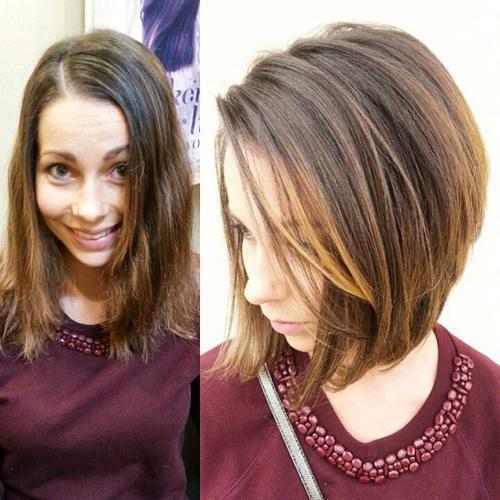 Find more bob hairstyles with bangs here. 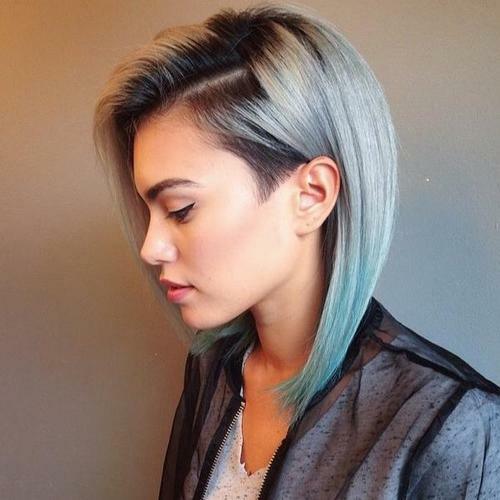 This inspiring medium bob hairstyle has borrowed some of its asymmetrical features from the 1980’s vintage. The profile view shows a short side point that’s perfectly aligned to accentuate the cheekbone. The side parting is combed over to the right side, which hangs just below chin-length. 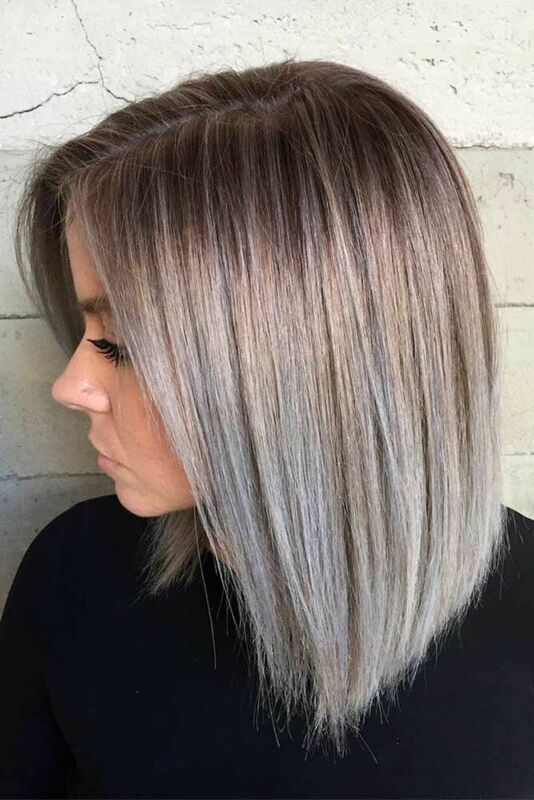 The back is styled into a lovely, smooth curve with blue-green tones over cool blonde and dark roots, for a highly individual medium length hairstyle. 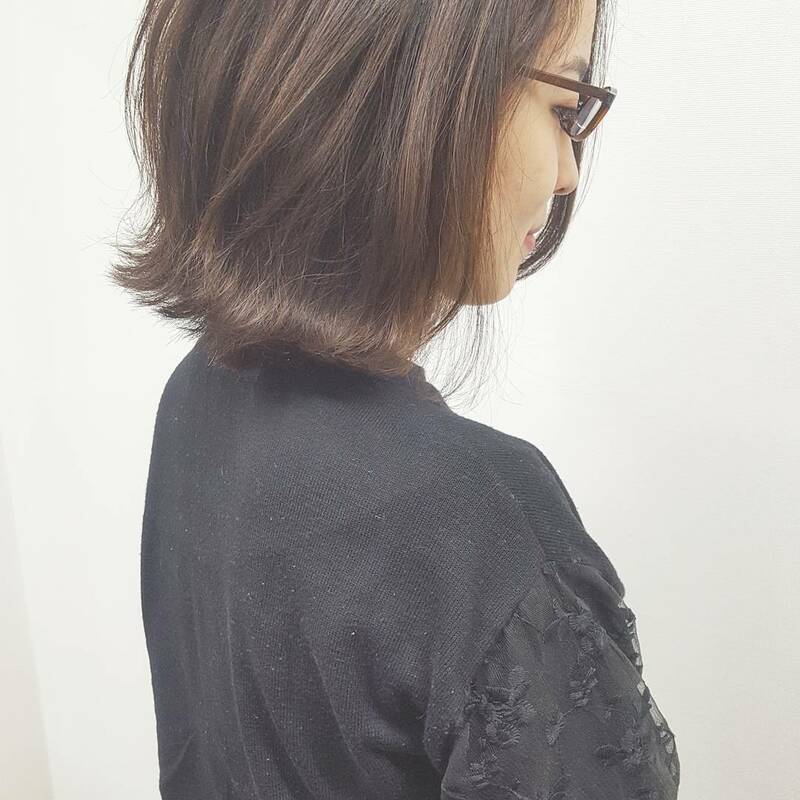 This is a vintage 60’s extreme inverted bob that just touches the collar- bone at the front, making it a good way to add length to a round face. 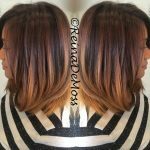 The cool blonde over brown roots colour design is very trendy and more face-flattering than harsh platinum-blonde with black roots. 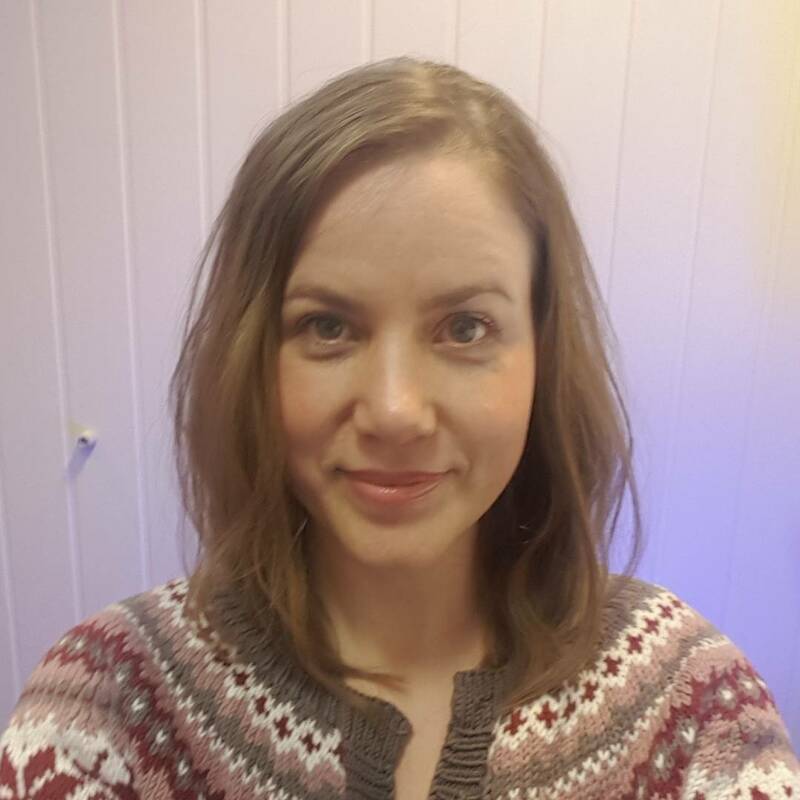 With an off-centre parting and a long, diagonal fringe (bangs), this groovy, medium-bob hairstyle is super-hot right now! Suits oval and round faces.